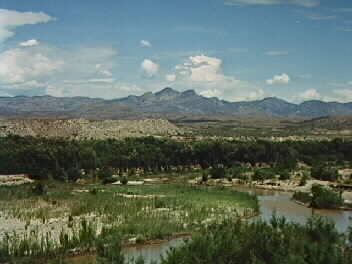 This is a view of the of the Gila River near the site of the old military road. In the background can be seen Gila Butte. This location is not far from Bylas.